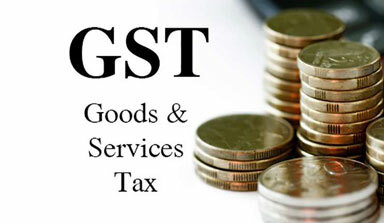 State wise Status of Ratification of GST Bill | J N Kanabar and Co. In his budget speech on 28 February 2006, P. Chidambaram, the then Finance Minister, announced the target date for implementation of GST to be 1 April 2010 and formed another empowered committee of State Finance Ministers to design the roadmap. The committee submitted its report to the government in April 2008 and released its First Discussion Paper on GST in India in 2009. The Constitution (122nd Amendment) Bill, 2014 was introduced in the Lok Sabha by Finance Minister Arun Jaitley on 19 December 2014, and passed by the House on 6 May 2015. In the Rajya Sabha, the bill was referred to a Select Committee on 14 May 2015. The Select Committee of the Rajya Sabha submitted its report on the bill on 22 July 2015. The bill was passed by the Rajya Sabha on 3 August 2016, and the amended bill was passed by the Lok Sabha on 8 August 2016. States to follow in this week are Delhi, Madhya Pradesh and Gujarat. Other states such as Haryana, Goa, Maharashtra, Rajasthan etc may do so soon.